 USI (Unique Student Identifier) Number  Mature age entry (18+)  Initial skills assessment  Valid and current email address  National Police Check (fee applies)**  Working With Children Check (fee applies)** ** For Traineeship / Apprenticeship programs, employer(s) are responsible for all relevant police checks. 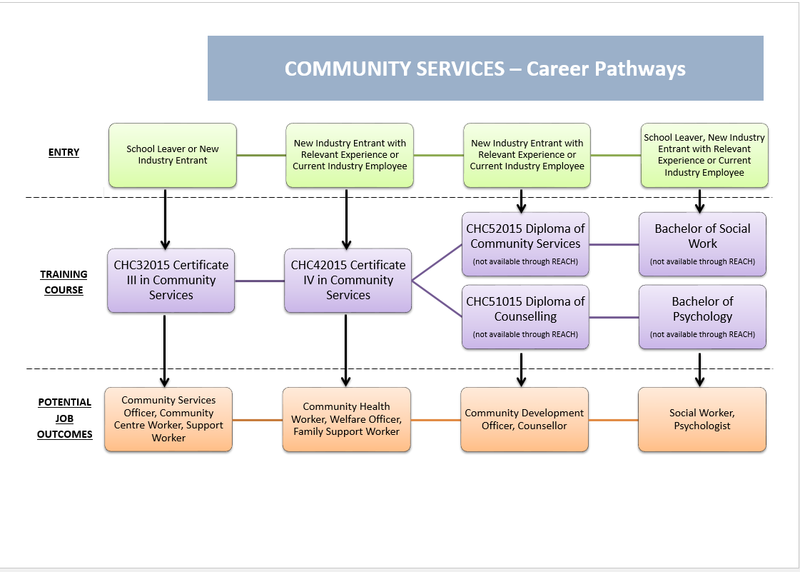 Overview The qualification defines knowledge and skills required by support workers and case workers who work autonomously under the broad guidance of others. The qualification reflects the role of community service workers who design and deliver personalised services to individuals and/or groups. Workers provide support to individual clients or communities across a range of services. At this level, workers may be independent with limited responsibility within established parameters and may be required to supervise other workers in projects or teams. Refers to specific knowledge of a client group and appropriate intervention processes applied in residential and community settings. On completion of this qualification the worker will be able to design and deliver programs that aim to enhance the well-being of individuals and groups. Do you want to request for our call back service ? Request for a callback to answer queries. Why are you interested in this qualification? Preferred day and time for call ?